They are classified based on their dextrose equivalents (DE) which range from 3-20. The higher the DE, the more extensive is the hydrolysis and the shorter is the glucose chain. 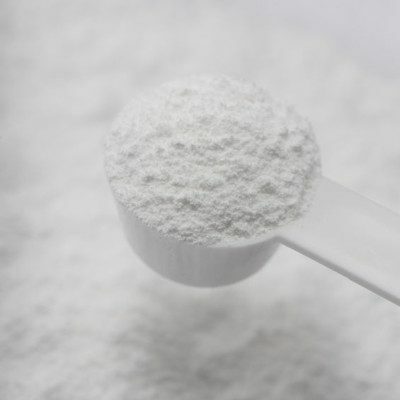 The term ‘maltodextrin’ came into widespread use in the 1950s to describe an oligosaccharide of α-1,4-linked glucose and mixtures of maltose, maltotetraose, maltopentaose, and higher oligosaccharides. By 1957, the American Corn Industries Research Foundation provided a definition for maltodextrin which was followed by the issuance of the U.S. FDA regulations in 1983. They exhibit virtually no sweetness, and hence are used to give food ‘bodying effect’ resulting from their high viscosity. Low DE maltodextrins have binding properties akin to starch and can be effectively used as fat replacers. Low DE maltodextrins can be used to prevent formation of large, gritty crystals and hence improve the texture to a smooth, creamy mouthfeel. Bulking agents in powdered formulations. To increase solubility and nutritive content. Maltodextrins are made of corn starch in the U.S., while in Europe they are made out of wheat starch. Other sources include rice, potato, or tapioca. Production of this ingredient is accomplished through hydrolysis of starch using enzymes or acids. Acidic digestion of starch often leads to too much free glucose which retrogrades to form a hazy solution. Therefore, enzymatic treatment is the primary method used commercially. A slurry of starch is heated in the presence of bacterial α- amylase at a neutral pH, followed by autoclaving and subsequent enzymatic treatment till the desired chain length (dextrose equivalent) is achieved. Non-flavored carrier/diluting agent for flavors or concentrated ingredients. Maltodextrins derived from potato and rice starches are recognised as GRAS by the FDA (21 CFR 184). They can be used with no limitations with GMP according to 184.1(b)(1) provided they are of the purity expected for the respective application. Roller, S. “Starch-derived fat mimetics: maltodextrins.” Handbook of fat replacers,1996 99. What if There was No More Chocolate?! Are Researchers Buttering Us Up?